Since the news that Barack Obama was voted the 44th President sprung, the world is electric once again about the future of the United States of America. Even amongst the continuing feeble economy, there is an overwhelming enthusiasm of understanding we are not going to be stuck in this situation forever. The world will heal from the present financial mix-up. More importantly, it is time to begin to bear witness to one of the most influential U.S. Presidents the world has ever seen to start his journey of leadership in January. As noted in our previous entry, as Barack’s name clearly states, are you ready for A MESSIAH? The most common observation being made since the latest President-Elect was voted in is his undeniable human side. Obama is real, natural, down to earth and extremely humble; all while exuding a cool confidence and friendliness that is as pleasurable as that brilliant smile we typically see upon his face. That would be due to his Aquarius rising (or ascendant) displaying itself in those first impressions he allows others to see about him. Aquarian energy on its’ positive note is concerned about how brotherhood and sisterhood can be attained. While the ability to be tolerant is innate, The Water Bearer prefers to look for solutions to be found along the way. Obama’s star secrets are stellar for a politician. 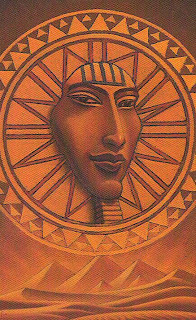 His identity comes from a 12 degree Leo Sun in the 6th House of Being of Service. This man is on a constant quest to educate himself, dive into every detail possible and make sure his ego comes last- all as he organizes and manages all that surrounds him. The priority here is to be of service first and foremost to others. Also in the 6th House sits his 02-degree Mercury in Leo, denoting a nurturing and protective expression of communication. Humility shows itself here as well, which is clear in any speech we have heard delivered from Obama’s lips, as he carries his graciousness and polite manner on the stage. 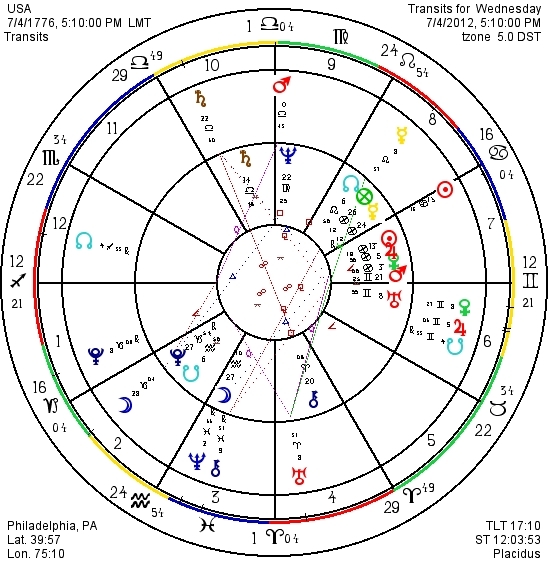 Emotions come intellectually for Obama with a 03-degree Moon in Gemini in his 4th House of Home/Family. Further lending to his clever ideas and obvious bond to family, the man on an emotional level is stimulated by knowledge and security in the home life. Venus carries his values as well at 01-degrees Cancer, in the 5th House of Creativity. This placement of the planet of harmony graces Obama’s ability to bring imagination to how values can be ultimately brought back to a sense of tradition, something our country has undoubtedly felt a lack of in recent years. As we discussed with Chris Flisher on October 23rd’s Radio Show The Turning of the Wheel, our now President-Elect’s Mars, the planet of drive and ambition, sits in humble and servitude Virgo at 22 degrees. With this Master Number guidance of Mars in the 7th House of Partnerships, this grants him a keen ability to not involve his ego in the choices he will makes as Commander in Chief. With Mars placed here, we can see he is naturally driven to relate, bring balance, and seek to understand both sides of any issue at hand. Jupiter brings an individual their luck and wisdom in life in the birth chart. One has to admire a leader with theirs at 0-degrees Aquarius in the 12th House of the Subconscious Process/Fears. With the planet of good fortune in the sign of the Water Bearer- the bringer of new life upon the earth- we see further strength for Obama to have the innate ability to possess the means to transform humanity. There is a sense within him that is fearless, as he plows through objections that may come his way with ease. Saturn, the karmic and self-reliant planet, also is placed in Obama’s 12th House at 25-degrees Capricorn. Saturn rules Capricorn directly so Obama’s self-reliance is right at home and comfortable with expressing itself. He, beyond any other possible placement of Saturn, is always on that mission to get the job done. Perfection is his goal coupled with a work ethic that is unsurpassed- always in determination to achieve, achieve, and achieve again. While Saturn also sits in such a sensitive and spiritual House such as the 12th, Obama, does not turn off his sympathetic feelings as he desires to climb the ladder of ambition- rather, he superbly grasps the concepts of understanding, objectively and inner peace from the depths of his subconscious. As we conclude with the key fundamentals of the astrological birth chart, one more significant point is Obama’s Part of Fortune at 08-degrees Sagittarius in his 10th House of Career. Where ones’ Part of Fortune in the chart falls determines the most likely area of life that will evoke success, and the applying the skills necessary to do so will bear a rich harvest and happiness. With Sagittarian energy in the House of Career, we see the 44th U.S. President to surely be able to excel in foreign policy and idealistically applying wisdom and optimism to all matters in the work place. On to the even more revealing numerological perspective, and for Obama, these have been karmic from the very beginning, with the birth date of 04 August, 1961 at 7:24pm. From the 8th month, to the 4th day, in a 17/8 vibing year, and at a time of day adding up to a 13/4- the mysteries of the 4 and 8 astoundingly surround this Leo, also with a name expression of the 17/8. His 4 Karmic Path grants him Uranus’s extreme guidance of the Reformer, as he exhibits tolerance, originality and inventiveness in his actions. A true no-obstacle seer, this influence also lends to the desire for brotherhood and sisterhood, a non-judgmental attitude and the yearning to bring benefit to humanity. faith in goodness and the power of the self…the constant and energetic cultivation of optimism…will act as a miraculous medicine for the problems of the number 29.” As the 29’s title directly states, Grace Under Pressure- have we not seen the man display this admirable trait under and of the pressures he has encountered so far? As always the future remains to be seen, but our guess is grace is bound to keep on winning for Obama. Currently by the numbers, Obama is in a 22/4 Personal Year in his current 33/6 Pinnacle (9 yr period) and in his 2nd Period Cycle of life. He did all of his self-discovery until age 34- and at 35 those true creative talents began to display themselves like never before. As the 33’s Love and Magic currently guides him over these 9 years, he is graced and urged to bring harmony to all he touches. Bringing out the ideal negotiator within him, this presence of Venus marks a time in the life that miracles indeed can be achieved. As Obama is sworn into office on January 20th, 2009, he will just be 1/2 through his 22/4 Personal Year of laying down a solid foundation from initiations that began in 2005. January will mark a 5 Personal Month of permanent change and that relocation into 1600 Pennsylvania Avenue. Finishing out this Masterful 22 year will at first seem tedious and slow in seeing immediate results. Yet, to Obama- day by day, word by word, new idea to new idea, the final wall of his foundation will be built by August 4th, 2009. By August 2010, the 24/6 Personal Year of harmony comes to Obama, and he’ll need it after the whirlwind of activity he will have already accomplished in the previous 23/5 year. The infamous budget, national debt and any dealings pertaining to money will see the true light of day by this time. In right time with the numerological chart of the United States, where we will have just entered that 23/5 year of permanent change and blossoming, it is more than apparent we will be all taking the deepest breathes we have as a collective nation in quite some time, those huge ones of relief. Upon his 50th birthday in August 2011, Obama enters into his 25/7 Personal Year. The course of this year allows his eye for detail and research to go probing for more answers to those pressing issues at hand that need to be solved, while doing his own internal work and sharpening his inner saw. With Jupiter in Taurus at this time currently transiting his 3rd House of Thinking/Mentality, he will reassess and attune his communication skills to an even higher level. As he goes within, the ideas that come forth will be those that stimulate further security and stability. By 2012, Obama will be winding down his 1st term, in August entering his 26/8 Personal Year of Harvest and Reward. This will be the time he will receive tremendous recognition for the work he has done in a relatively short period of time. 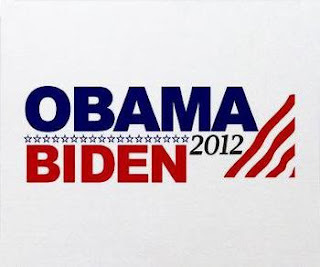 November 2012 marks his 1 Personal Month, so a new beginning occurs as Election Day falls upon 11/6. While it will be an interesting Election Day under Mercury Retrograde, a REelect it more than favored. It will be enlightening to see how the United States has grown at that time. Whatever political opinions will be in place, undoubtedly under the care and leadership of Barack Obama’s administration, we should be a nation standing proud and undeniably more UNITED than UNTIED as we have felt up until November 4th, 2008. As you already have innately done President-Elect Obama, may you continue to allow your self-knowledge to serve you while you serve these great United States of America. Your star secrets are most certainly in your favor to brilliantly succeed. Welcome Fellow Americans and the world at large, to the 7 Personal Year Cycle. We’ve seen the pros and cons having been weighed in the now concluded 6 Personal Year of 2011 in where the real value of what it all means and is worth has been debated about. Our compassion has been called upon as a real asking of the feminine called to us loud and clear. 2012 promises to ask each and every citizen to take up some time in the requests of solitude in that SILENT LISTEN now to reap the rewards of true responsibility that will come to pass as 2013’s cycle initiates. It is a bit of a “trickier” formula to follow in a 7 Personal Year, because attention to the inner process and the sharpening of the inner saw is not something everyone is taught to readily tap into. As a nation, this is not a huge year of international progress nor idolization. In fact, as we explore the true request of the entire 16 energy governing over 7 + 4 + 2 + 0 + 1 + 2 = 16/7, we’ll find the Chaldeans will lend us some fairly accurate advice in their ancient understandings to our entire nation if the free will only chooses to look within. Now, you know we are not subscribing to “gloom and doom” here. Even as via astrology, the ‘Uranus – Pluto Square Dance’ continues on for a couple more years -setting off the beginnings of an entire new global foundation in the midst of formulating- this entrance of the USA into the 16/7 Personal Year asks for true adaptation to those unexpected ways transformation will affect us. Reform and regeneration are a huge part of what this current Personal Year Cycle entails. As we have been saying for quite some time, comfort zones will see their fair share of CHALLENGES. It’s up to the free-will whether resistance will be a part of that ALL CHANGES SEE ANGEL ANGLE HEAL LEAN AS A CLEANSE. For the USA, the Pluto – Uranus Square Dance affects our 1st and 4th houses on our natal chart- that of our “I Am” of approaches, first impressions, including the way the world perceives us and within our “I Nurture” of home, family immediate environments that filter through our lives. We aren’t kidding when we have been saying the approach to the comfort zones of American life are in a very heavy place of transformation, and these are already occurring rather unexpectedly. This is the most intense passage of these two areas, as when squares occur from above they do mean responsibility to soul business to them down here below. It won’t be until the closing in of February 2015, when the USA will still be in the 9’s Personal Year request of ultimate finalizations and endings on the home front of this Current 9 Year Cycle which began in 2006, that the truest test of our on going Uranus – Pluto Square Dance will bellow its call at the 14 degree of Aries and Capricorn, directly opposing and squaring our nations Saturn at 14 degrees Libra in our house of “I Structure,” that of the career and public life. Undoubtedly, the face of how we work, are viewed by the world, live in our habitats, feel secure and take it all in will have seen altercations like never before in history, and very permanent ones. So, back to that soul business we mentioned. In order to be ultimately prepared throughout the remainder of the Uranus – Pluto Square Dance, we as a nation can successfully prevail. But for us all NOW to KNOW we will OWN the WON, it will be the attainment of the very inherent concept of our now 16 Personal Year that will proclaim anyone the victor: that is knowing how to remain in the eye of any apparent storm around us. When engaged in a 16 Personal Year, taking an overpowering orientation towards the philosophical and spiritual aspects of life, allows the tendency of the 16’s pull toward the path of denial to be adverted. Any kind of drug, whether it be prescribed or recreational, as well as all forms of alcohol need to be completely avoided along this passage of time in order for the individual experiencing this vibration to redeem the best along its’ path. There is a drive to understand the unseen world, but this must be done without the aide of any kind of delusion along the way. The feeling of being lost upon this vast planet often accompanies the 16, like a foreigner. Gravitating to and encompassing the world of spirit is what eases the intensity that 16 can bring. Finding ways to ground the desires of escape and instead gain understanding through practical and sound means allows the healing energy of this vibration to be channeled and effectively shared with others. The singular energy of the 7 allows the 16 energy to posses an extremely analytical mind that can penetrate into whatever realm it sets it’s mind to, often producing magnificent results that are of great benefit to humanity. The ability to concentrate is unsurpassed; along with the talent to specialize in a specific area and become an expert. This is the 16’s gift and personal power to share wisdom with the world. With the inner guidance of Neptune, this 7 vibration must be cautious of ever becoming aloof, critical or bitter. When impracticality and dreaminess accompany too many decisions in life, the end result of drifting from reality will cause the native to not earning the adequate living they can. There can never be any kind of over indulgent behavior or flights of fancy, thus preventing success to flourish in the life. That equal wise advise of thinking well and then feeling good, leaves the anxiety where it belongs out there in those winds surrounding us. One more point to note when understanding the true advice of how a Current Personal Year Cycle coincides with that of the natal chart. Where the guiding planet of the numerological year is currently transiting within the birth chart lends more advice to how to make the most of it. For the USA, the 7’s Neptune is presently within the natal 3rd house of “I Communicate” that which governs the thinking and mentality. Anxiety will not be tolerated well under the 16 year. Remember the request of remaining in the eye of the storm with that SILENT LISTEN? Even via the collective take for the USA, it is the 9th house of what “I Believe” that seeks higher education, philosophy and foreign travel to bring a growth process forth. Don’t believe in the storms in the year ahead, but do recognize what ultimate unfolding of learning is being stirred. So Fellow Americans, are you ready? We offer one final piece of star secrets wisdom for our country’s new year in 2012. Via Lexigrams -the poetic phrasing of the anagrams that can be derived from any word, name or title to speak it’s truth- aside from that ever so important request of the SILENT LISTEN, let us all find the time for our soul in some scheduled solitiude. We leave you with one friendly reminder about your ship as it continues to sail… a true source of inspiration from Life Coach, Author & Poet, Mark Porteous. I am the captain of my own ship. Let the winds blow where they may. I can’t change the wind. I can’t escape the storms. My life is a ship on the open seas. I may run my ship any way I please. I choose the place where I’d like to be. The course I set is up to me. In any direction they may blow. Still, I decide where my ship will go. A new corrective course I must set on my own. Waves and tides will always be. These I can not arrange. I accept and appreciate all I cannot change. The wind and the storms are beyond my control. They weather my ship and strengthen my soul. Caught in storms, winds may not be with me. Through darkness, stars I may not see. Winds may blow my battered ship astray. In the end, I always know I will be okay. Skies will clear. Storms will pass. Sea and wind will calm at last. I’ve done all that I can do. It was simply meant to be. The mighty seas I know will end it. I thank God to be alive. For all that I have seen. And heading towards my dream. Are still left for me. Remember, in the “real” REVOLUTION, I VOTE TO UNITE IT IN ONE TRUE LOVE ROUTINE TO LIVE IT RITE EON TO EON. It is no mystery that the energies of a square aspect via astrology can certainly be felt within our collective soul’s consciousness, and we have one now that fully engages from above that promises to bring forth some intense changes down here below throughout early 2015. Welcome to the Uranus Square Pluto “Dance” if you will. The “hype” of this astrological alignment has been buzzed about in the past few weeks as the square began to form at the 08 degree of these two cardinal signs in early June. Yet, the “dance” of this energy will be happening numerous times until the 15 degree of Aries and Capricorn in the next couple years. The official kick off initiates 24 June at 5:12am EDT/2:12am PDT as the first Direct Square occurs. This becomes a passage when the understanding how to properly utilize our free will is more important than ever. While squaring off energies are typically viewed as challenging, blocking and hard- there is the opportunity from Aries and Capricorn to examine how these two areas of the life are ideally meant to take on more determination and spiritual energy through the strengthening of the will. A structure wishes to be shown to you here. As we look to the collective, overall we can expect inventive ways to tap into authority, character and independence to bring forth endurance and stability between these leadership energies when the aversion of explosive and fanatical reactions is adhered to, no matter what shows up as an apparent “obstacle.” It will take a lot of time to respond in the SILENT LISTEN to know what these are really about. While Saturn will start to move forward again in Libra 25 June, the majority of this long term transit transpires as Saturn enters Scorpio come 05 October 2012; where it will unfold even more intense changes for the collective consciousness while visiting this most esoteric, regenerative and transformational sign until it completes in September 2015. Mysteries to be solved come out of the woodwork, and responsibility to true power and scope within our lives will be alive and well like never before in history. In as much as the Mayans understood how much the speeding up of time would present situations that are to bring forth a true sense of death and rebirth for our world, these will undoubtedly be occurring not only from the requests that Saturn in Scorpio ask of us all, but from those that the simultaneous Uranus/Pluto Square in Aries/Capricorn will equally present to handle. How Patient Can You Be? As with any kind of planetary promise of change, it will be the difference of the response verses the reaction to what unfolds that will make all the difference in how our free-wills will adapt. The utilization of PATIENCE is one very strong ACT IN AN ANCIENT PEACE PACE that will bring any soul the resolve that is meant to transpire. What will be a very reflective energy to keep an eye on will be how Saturn, the ruler of Capricorn, will currently transit through Scorpio; as the ruler of Scorpio, Pluto is currently transiting through Capricorn. As two of our most influential outer planets team up in a sextile energy between these two water and earth signs, some grounded and deeply receptive channels will be available to allow patience be anyone’s guide, but it is the slowing down of the fast movement that the modern day world is now so accustomed to that will ask for us to pay attention to it. Some people feel right now that our world at large is taking a little bit too much Prozac, for lack of any better analogy. Certainly many parts of it sure are, but the illusion of life’s ride will be over soon. The Mayans were quite insightful so many eons ago to note just how much the human race would have sped our Mother Ship up at this time. We are filtering through a period in history where instead of life being presented to us as glorious- especially through the medias and people in high power’s means- we have fallen short on the free-will of choice that it is all in the eye of the beholder. When planets meet up at any 90-degree angles from above they cast down the potential to be felt energetically as a total block. Yet, squares are looking to seek the creation of a future foundation. As this is now in how Uranus -the planet of innovation and originality, and indeed the unexpected- is channeling in Aries, will speak sternly at times to Pluto -urging the slowly changing responsibility, stability and learning through experience while in Capricorn- it is time to heed the call to action. Those who are not willing to simplify- which means getting in touch with trust, what is natural, and retreat back to the ways things were always meant to be before man completely complicated our planet as the Mayans said that he would- will have the hardest times ahead. Those who choose via the free-will to remain in it in the next couple of years will be ones for whom the “gloom and doom” will ring ever so loudly. Get ready to move out of whatever apparent comfort zone currently exists. For those who step graciously and willingly out of this present darkness, the Light ahead will be ever-ready to happily shine upon them. It is time for the “real” REVOLUTION to begin, that which honors TO UNITE IT IN ONE TRUE LOVE ROUTINE TO LIVE IT RITE OVER EVIL. Be with LOVE, and that EVOLVE is always going to win over any conflict that comes your way. Numerologically, the degree points of the many times this Direct Square “Dance” of Uranus and Pluto will unfold throughout the early part of 2015 are more than interesting to note. The Uranus – Pluto Square “Dance” will demand that the world LISTEN up, which takes a bit of that SIT IN SILENT TIES to do so. Remembering the slow pace of patience and what it truly requires is of fabulous assistance here. This is a wise time to take a good look at your natal astrological chart and see just how the 06 to 15 Aries/Capricorn degree points exist within your souls’ star map from above, and the insight it offers you now for these next three years down here below. Being in the expectation of the incredible changes to come within these areas of your life will allow your adaptability to let in the new structure between them. Taking this personal perspective, along with your collective horoscope read on this will bring much understanding to how the beauty of “As Above, So Below, So Within, So Without” is flowing through your present incarnation. A ‘Uranus/Pluto Square-O-Scope’ from the collective’s vantage point, if we may…. Aries: Undoubtedly, you are in the know of all of the unexpected changes already in motion around you. These are bringing forth a true innovation for the entire sense of what “I Am” within your life. This is a time for really letting in all the originality and individuality that you can, for the world is seeing you far differently than it has in quite some time. Everything you perceive about your first impressions and approaches is in a true revolutionary passage, so if it is different, you are on the right track! Now, bring this to create that foundation that is looking to form from the other ongoing transformation where “I Structure” within the life. Your career and public life is one of the most powerful places for you to recognize the current presence of transformation. What doesn’t work for you here is spinning out the scenarios to leave. As you relate this to how the mask you wear to the world is being revolutionized, you can bring on your rebirth like you haven’t in quite some time. Taurus: You’ve been hearing the inner call to bring reinvention to where “I Process” for quite a pass, and there have been some marvelous break-through experiences in how this is unfolding for you. Do pay close attention to those wild night-time dreams and what they wish to relate to your waking world. Those subconscious realms and ways of experiencing your truest sense of intuition are being broken down from all the old ways and the eccentricity here is something to behold. Not always easy for the rooted Bull to manage, but you can be thankful this is not occurring over-night. Looking to where “I Believe” is calling in compelling ways to you as well, as equally you are being asked to honor the truest sense of transformation here. Whatever rebirth is meant to be playing out in your entire understanding of your higher education and foreign relations, let these changes come and allow you to grow in powerful ways. As you let your idealisms regenerate, you’ll find happy channels that will bring marvelous results reflecting back to you. Gemini: Where you find your ultimate pleasures from how “I Socialize” is what is moving and shaking in ways you have never been able to imagine before. Those friends and contacts showing up from seemingly bizarre places are all meant to bring innovation to what you truly hope, dream and wish within your life. Such originality currently streams from this area of your life, so if it all seems a bit “off-course” you are indeed on the right track! In your innate way of relating it all, you are able to truly take the energy here to where “I Transform” and make a structure that will support you for years to come. See how the people you are meeting are able to make that wealth better, for you have such a strength to captivate your social ties to work with regenerating your core- from the depths of your soul to the richness that wishes to bless what you have in to so so so much more value than you have ever experienced in your life up til now. Cancer: While your area of life where “I Structure” is having more than its’ fair share of reinvention, it is the time to recognize the stranger this is seeming, the better off you will be. Definitely not the energy the familiar Crab always likes to be amidst. But, in it you are, and if originality is marking your career and public life at present, you are swimming with the right current. These courses of change are allowing you to also reinvent your relationship to authority as well. Now, looking to where “I Relate” is the other area of life that is working to manifest powerful changes that come from all of your partnerships, from romantic to business. Any kind of one-on-one relationship is up for intense rebirth, so if you are seeing that theme of death/rebirth here, know some people will stay, and others will naturally go. The partnerships that truly serve you are able to bring those innovative changes to your career, so as this structure wishes to form, those emotions of yours should be in response and not the reaction. Leo: Your request to learn in ways like you never have before is originating loads of new understanding where “I Believe.” Educational pursuits, higher learning and the breakdown of your old philosophies are currently happening with plenty of innovative energies behind them. Your contact with foreign travel and culture is also where you’ll find a re-inventive force dominating the life at present. Don’t resist it. If you take a bit of persistence down to where “I Serve” within your life, you’ll wonderfully discover how much power you truly to have to reign over your forest with. With all of the transformative action happening in what you truly do to serve the world, you can tap into a strength here that will set you up in a relaxed intensity that equally brings peace to your health. If you think your beliefs and your ways of service will not change in these years ahead, oh what a roar may bellow from the Lion’s liar. Be kind to your heart, and you will see just how much the earth starts to reward you in return. Virgo: So much has already been requested of you to tap into unexpected ways where “I Transform” and now, this gets a slight more intense. Thank goodness you already know how to adapt and enjoy change! The core of who you are is seeing all kinds of different avenues for this to unfold, so seemingly, the more bizarre, the better. Ground-breaking ways for you to take what you have and turn it into wealth are the ones to pay attention to, and ultimately, the way this wishes to solidly happen is from whatever is regenerating where “I Create.” Investors are ready to support your brain-children should you need, but they will want all those T’s and I’s dotted, your specialty of detail. What you can birth to the world now has an amazing force guiding it to cast a regenerative light upon the world, so if you are still being shy, find some confidence and recognize your truest sense of power comes from shining upon the stage of your life. This, makes you feel the richest rewards, that are felt the most right within your core. Libra: So while those Scales have been seeing themselves unexpectedly tipped at times where “I Relate,” it is a time of improvement within this area of your life. All those new partnerships, business and romantic that have been showing up, really are meant to let your originality out to play. Relationships suddenly moving out of the present picture, are not ones that belong to the new life being brought here. You have a strong sense to tap into a true humanitarian understanding, which wishes to make strength with what “I Nurture.” The transforming energy surging from your home, family, and immediate environments is at times a bit dominating, but you will find these intense changes all have something to do with growing those one-on-one relations. Never mind the arguments here, for your innate way of seeing both sides of the issues will make the outcomes of peaceful resolves your dearest friend. De-ja vu is strong with you in these times, so listen to it well as going with your gut is more powerful for you than ever. Scorpio: You are in pioneering times within the presence of where “I Serve,” and these, as of late, are at times even a little outlandish for your regular resilience to withstand change. Improvements to your health are calling to check-out breath-through ways that you can tap into, and your routines equally find out of the blue ways that they can change. The way you serve the world is rather up for grabs in the course that it will reinvent itself into for this pass, so being open to these innovative possibilities are the ones to pay closer attention to. You’ll be the spotlight of responsibility in the next couple of years in multitudes of ways, but as you tap into the regenerative force at play where “I Communicate” you will not miss the connection to how your thinking is meant to intensely alter. This is a time when your mind is truly ready to let go of the past patterns, let them die, and birth into the new mental light that is ready to bring structure to that which you are here to truly be of service to within this world. Sagittarius: You already know how much excitement is happening where “I Create,” and now, this is ready to move to the next level. Make sure you are not missing any of the pioneering ways your creative nature is exploding with brain-children right now- this is truly a time when you are reinventing everything that you create with originality backing you up 110%. Now, these manifestations are ideally looking to have some strength formulate to all that “I Have” as you are in present request of knowing how much intensity your earning power actually has. Your entire sense of worth and value is a regenerative place right now, and if you let your creations aide in what calls for rebirth here, you’ll have aimed your arrows in the right directions. This will take a bit of focus from you, oh divine multi-tasker, to ground what you have in relation to what you are creating. If how you have been earning your daily bread is not making you smile, get busy and see what your mutable soul can do to make the change. Capricorn: Yes, how about all of those unexpected occurrences that have unfolded where “I Nurture?” Bet you did not see any of that coming, but that is what innovation and originality does when it visits your area of home, family, and immediate environments. Couple this with the other intense permanent changes with your life in the past couple of years Old Goat, where you understand your sense of “I Am.” Now we said resistance is futile. It’s fairly certain you have realized that all of your approaches and first impressions have deeply transformed, and the world has begun to look at you very differently than it ever has before. While you love the tried and true, this doesn’t mean any tradition has been lost for you, but whatever old patterns do not work between these to areas of the life, you bet the unexpected is showing up to transform them. As you journey through this present incarnation, these years are hands down some of the most amazing in your evolution. The more you are open to the new you and recognize this is your security, your souls’ power soars. Aquarius: Your thinking cap is more than on innovative alert where “I Communicate.” While you are already the sign that brings new life to everything, it is this area of yours that is really exploding with ideas and ways that see some true and original sparks fly for quite some time to come. If you are stepping out of your box more than normal, keep doing it, and let that eccentric mind of yours take incredible flight! Unexpected turns may surface with neighbors and siblings, but just be ready to lend that brotherly and sisterly oriented thinking of yours to make peace. As you take your conscious mind and go to where “I Process” you’ll find that you can tap into those powerful prophecies of yours like no time in your existence. Night-time dreams will always tell you which way to go in your waking world, for these more than likely are revealing quite the precognitive messages in rather intense ways. Be sure to take solid time in meditation or ways to quiet the mind to let the strength of your subconscious mind be able to clearly send its’ transforming messages. Pisces: Wondering about all of that “zany” energy swimming in the area of what “I Have?” It’s time to get innovative where you earn your dollars, as a true re-inventive force is bringing in unexpected changes to how you bring home the dollars. 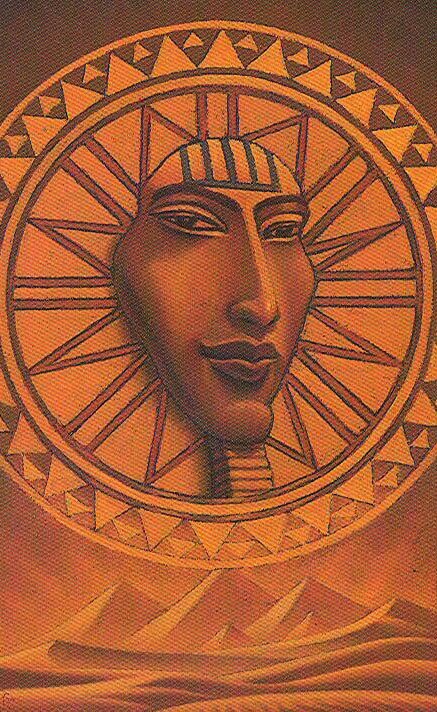 You know better than any sign in the Zodiac how to adapt, yet, you must take those silent listens to not be deceived by what is next to come. It’s time to truly get original in what you value and what you have- for the old ways of worth are just not the ones that will be floating in your seas. Look to where “I Socialize” to find the strength to tap into the ways these two areas of life can create a new sense of solidarity for you. You have amazing power to hope, dream and wish well, so if these have been under the regenerative scope for you as of late, it is time to let the rebirth in. Old wishes may go, but new ones associated with the groups and organizations you are a part of are meant to be fast friends and help you earn now in original ways. Throughout the last alignment upon 17 March 2015, may your Aries & Capricorn slices of life restructure through their challenges for change in a resilient strength that only thinks well and feels good in the LOVE to EVOLVE Dear Stars. 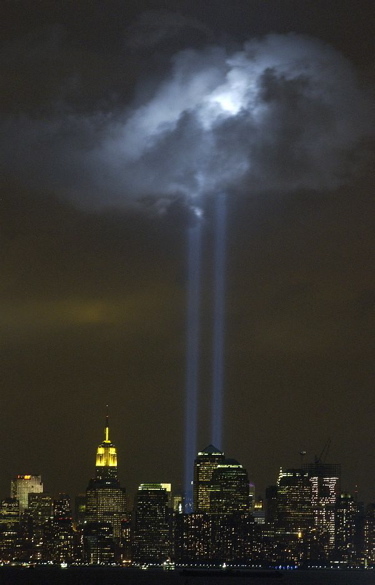 As we celebrate 2011’s Full Moon in Pisces, when the collective swims with the endless possibilities of The Fishes, we are equally in deep reflection of the 10th Anniversary of the fateful day of 9/11/2001. As a whole each one of us are undeniably within this present lunation bringing forth the energy of resurfacing the past: something Pisces is well noted to do. The most positive attribute Pisces brings to our choices is equally the ability to heal in our retrospection. So how can the fullness of Pisces ultimately help us heal and engage in helping align our emotions at this time? Think of their symbol the fish, as they swim in the myriad of choices within any given ocean. How do you think they make the right choices for themselves, in the course of nature? The Fish, as do many of our animals and any non-speaking living being, keep it real simple. The Fish takes in a LISTEN to know what to do. Listening is a skill that we are introduced to learn early on in our lives, and it is one skill that carries on through the end of any life. While we are told to be SILENT, we are in essence being ask to LISTEN. You really can’t really do one without the other. Pisces is a tricky energy however to ideally be still within. When you have the planet of emotion -the Moon- transiting through a mutable water sign and allowing release here, one most certainly may feel the last thing they wish to be is still. However, finding a place to be in a LISTEN to the intuition to what silence can bring anyone is a remarkable experience. Whether it is a Full Moon in Pisces or not, how often can you look around and say you are absolutely SILENT? So, the time is now, to not only honor the Pisces area within our birth charts, but that of what requires empathy surrounding us and collectively LISTEN to what is happening here. When you give yourself the time to be SILENT; then see what comes in when you ask for insight and clarity for the best choice to make here. As you then ENLIST IT and LET IT IN, the mystery remains to unfold as the ocean continuously brings its’ endless possibilities. Undoubtedly, as we reflect upon all that has transpired in the last 10 years, there are many conclusions we are asked to arrive at as the Universe grants this present 9/11 anniversary in 2011. Time in silent acts allows us to heal the tests of our soul and any odds and opposition we may have encountered. As the tragic and somber memories of the past swirl around in our emotional landscapes, remembering to be still is one of the most beneficial choices any of us can make. We can find amazing gratification down here below when we honor the Universe’s gifts from above. This Full Moon in Pisces presents us with a tremendous opportunity to receive inner guidance if we let it. I don’t know about you, but having a LISTEN, and choosing to ENLIST and LET IT SIT IN a SILENT time sure sounds worth it to me. The United States of America has seen more than it’s fair share of changes since the last time it celebrated its’ birth upon 04 July 2010. Whether viewed as good or bad, these alterations are part of the journey that the nation is meant to experience within the Current 9 Year Cycle it is presently circulating through. Like the irreversible and permanent changes that fell for the United States in 2001, when it was last in a 5 Personal Year, the action seen over 2010’s year in the life, were undeniably marked with movement and furthering from the new beginnings that were implemented in 2006. 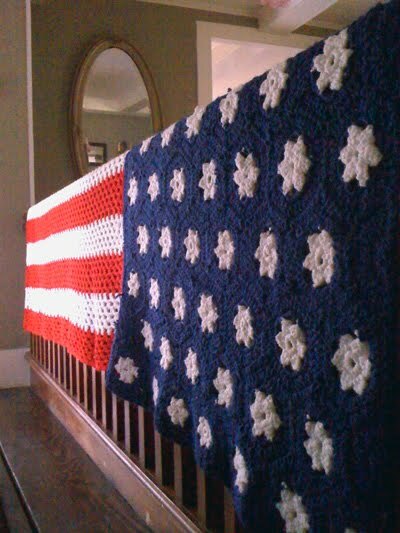 As 2005’s 4th of July was celebrated, the entrance into the 9 Personal Year brought many conclusions, finalizations and endings to the nation. Ultimately, what cleared over 2005, made room for the seeds that were then planted in 2006. Now, by the 6 Personal Year’s request in 2011, it’s time to bring forth some necessary balance to enter the picture after 2010’s stirs of change. What is of absolute certainty -as it was in 2001, what that unfolded for the United States within 2010- there is no going back to what the USA once thought it knew. Think the USA has those bases covered nicely from the intense presence it has had upon the masses within the world- one can not question the influence its’ politicians have equally had, whether you agree with their party or not. While the USA is meant to have its’ hands in multiple things, allowing others to be part of the decision making process typically results in poor outcomes. As America now welcomes the 6 Personal Year, hearty congratulations is to be extended for surviving all of the changes that last years’ 5 stirring energies brought to the plate. Collectively as a nation, it will be time to embrace the influence of harmony over the next 12 months in the life. Readjustments in values -especially those within the family- will be requested, as well as the opportunity to bring some needed balance back into the life after the movement and permanent changes that have just occurred. Remember, the new beginnings from 2006 wish to now move optimally forward. Now that the mid way point of the current 9 yr cycle has occurred, keep in mind, there is no reversing the changes that unfolded within 2010 until now. Aside from artistic and romantic themes, all kinds of relationships formed within this 6 personal year will end up serving The United States for years to come, so our politicians are wise to choose them well, and allow diplomacy to be their guiding light. Adhering to compassion, feminine energy, and wisdom about money will serve any American well until the next 4th of July is celebrated in 2012. Time devoted to nature wherein one can calm the emotions are also smart ways to choose to spend it. Astrologically, America is currently experiencing it’s own Saturn Return just like any human does. This is the couple year period surrounding 28-30, 58-60, and 88-90 yrs of age throughout our short lifetime. When looking to the lifespan of a country, this will keep happening every 28-30 years. Saturn sits at 14 degrees Libra in the USA’s natal 10th house of Career and Public Life, where it is also now currently transiting at 10 degrees, and about to conjunct the natal Saturn once more upon 21 to 30 August, when it will reach 14 degrees Libra. Jobs will continue to become a source of restriction and realignment. The USA’s presence in the world economy and how it is viewed by the public will equally see it’s restructuring, as the lessons needing to be learned here will continue to let themselves teach the masses what they are meant to know. Whenever we look to Saturn- all is not to be feared. Yet, being responsible to wherever Saturn is presently transiting is wise to choose. The United States is within a slow and patient process of restructuring its’ job sector, and how the public views it for it’s toil and ambition. What we once knew as comfortable and secure here is changing, and it order for us to move forward optimally past this present Saturn Return as a nation, we cannot expect to go back. It’s time for something different to unveil itself. As 2010’s energies brought in swift change, we are surrounded by the request now of Venus to truly take a look at both sides of any issue within the year ahead before making important decisions. Venus also is in total favor that once properly accessed, we let love guide our true outcomes. Choices made in any other intention, may not reap positive results. In the end, what the USA may value most is the realization that harmony does not come from the realms of money at all. Going back to how important being in nature is within the year ahead, here is where any American is meant to take some necessary time to learn. The true meaning behind compassion in all of its’ forms brings a multitude of things to ponder through 04 July 2012. Balance well, America. Remember when another politician not so long ago from New York, by the name of ELIOT LAURENCE SPITZER: LET PROSTITUTION RUIN A POLITICAL CAREER? Here we are again folks. 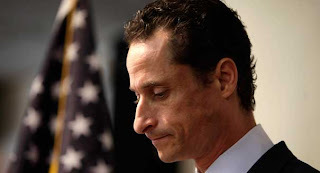 Like New York’s former Governor, who was in a current 7 Personal Year of self-work and “sharpening of the inner saw” when he got exposed, we now find New York’s Senator ANTHONY DAVID WEINER, in the very same 7 Personal Year Cycle. Rather than possibly pay attention to this request from his star secrets, Weiner blissfully choose to go viral anyway with a personal obsession. This is costing him a plenty right before his approaching 8 Personal Year when he was about to harvest some reward and recognition from the previous 7. While the scandal has been the media’s latest fixation since the story broke in late May, it wasn’t until Wednesday evening upon the 15 June, that 04 September born Virgo native Weiner decided it was best that he resign from office. Why now? Well, aside from those numbers, astrology can also provide some answers here. Not only did we have a Full Moon upon 15 June, there was a Lunar Eclipse as well, illuminating within the sign of Sagittarius. For any Virgo, this pattern of energy requests for a completion within the home and family life -while in opposition- the Career and Public Life looks to find the necessary balance. One of the longest Lunar Eclipses in about a decade, its’ affects promise to be all the more intense and strongly felt. Coupled with the Full Moon, the pair kicked off at 24-degrees Sagittarius. Nearby, what is known as the North and South Nodes in current transit, also were at 23-degrees Sagittarius and Gemini, respectively. The North and South Nodes always, like the natural pull of a Full Moon, present us with an opportunity to create balance within our lives. While these periods are quite long, lasting about 18 months, where the North is in current transit is where an ultimate focus should be applied so clarity can be attained here. Looking to the South, more of a reflective and passive approach should be cast upon this area to bring harmony to what is currently occurring from the North Node’s request. While we could not verify an actual birth time for Weiner, to examine an exact natal chart, something hints terribly at him having a late degree Scorpio Rising, which could put his natal Virgo Sun in the 10th house of ambition and work. He’s not exactly your typical shy Virgo by any means. (With a natal Leo Moon, he certainly hasn’t minded the spotlight in life.) Scorpio but of course is the sexual and power oriented sign. Having that Scorpio Rising also could place those North and South Node current transits in opposition to his 2nd house of values/earning power and the 8th of sexuality/transformation. Hmmmmm…. Aside from that current 7 Year of inner work, Saturn would also be requesting the same of him by its’ current transit in Libra. By now, it is without question Weiner was just a teeny-weeny bit over confident about his own. What a loss when one should be paying closer attention to their soul and spirit. Like Spitzer, ANTHONY DAVID WEINER can tell the tale right from the name as Lexigrams are here to lend us more conclusive evidence of their validity. Once again, the anagrams that can be derived from the letters within a name, oddly enough, when phrased together, reveal the truth that has been hiding right in front of us. Happy Healing Anthony, you have until September to accomplish this task now… Your Stars highly recommend you start with the heart. Lexigram: Phrases created out of the anagrams from a name. Picking up where we left off with our last Word Ponder of 2010 of RESOLUTIONS, we are taking away two S’s for one V for our first probing of 2011. 1) the action by a celestial body going around in an orbit or elliptical course. 2) a sudden, radical, or complete change. 4) activity or movement designed to effect fundamental changes in the socio economical situation. 5) a fundamental change in a political organization; especially the overthrow or renunciation of one government or ruler and the substitution of another by the governed. 2011 wasted no time with bringing on energies relating to definitions 2, 3, 4 and one has to wonder just whether 5 was on the mind of the shooter who shocked us all upon 08 January as history once more became permanently and radically changed due to the tragic and heinous events in Tucson, AZ. While considering the word revolution in regards to the unfortunate occurrences of 08 January, we can be certain that definition No. 2 has unfolded. More than likely, we all have had No. 3 come into play within our minds, as we try to wrap our heads around what indeed has altered within the political and cultural landscape of The United States. Undoubtedly, the shooter decided to express the synonym of this word that possesses various interpretations. Looking to our Universal wisdom of Chaldean Numerology and Lexigrams- we can see the very word revolution has some interesting things to share with us beyond Webster’s. As a 46/10/1 Name Expression, REVOLUTION is guided by Chaldean’s understanding of ‘The Wheel of Fortune.’ Name Expressions are determined from taking the numerical values of each letter composing any name, such as r-e-v-o-l-u-t-i-o-n, and adding them up- we find our Sun is behind whatever changes one may choose to bring through it’s initiating energy’s of the singular 1. Oddly enough, if you were with us for 2010’s last word ponder, you will find RESOLUTIONS and REVOLUTION are one and the same energy of the 46/10. We are, by all planetary analysis, in a time of revolution. And this is not to be feared, for in the 46/10’s understanding of this very word and the seemingly delicate energy behind it, we are able to choose the way we wish to see ours unfold. As Uranus (the planet of the unexpected and rebellion), aligns with Jupiter (the one of expansion and idealism), enter Aries (the sign of pioneering energy), this year is undoubtedly marked with the makings for what a revolution is all about. As Jupiter crosses over in to the Ram 22 January, and Uranus upon 11 March, we’ll officially be in the era of a new world that wishes to break-through the boundaries we have all become too uncomfortable within. Oh, and toss in 2011, adding up to a numerological 4. Also guided by Uranus. Lexigrams shed a completely uncanny light as we ponder further into how the anagrams within REVOLUTION can cast their wisdom upon us to fully understand the best way to achieve our radical changes. How uncanny that as we remember the 10’s polarity of absolute creation or that of destruction, that we can derive both LOVE and EVIL from it’s letters within? As we continue to phrase them, this truly is a word that can bring about the ultimate good that is meant to unfold from any drastic change. Join in the real…. We all have the beauty of free-will within any of our lives. What will you do with yours? The choice is now up to you to know what it will really take to be a true REVOLUTIONARY. The world at large is more than fully aware of the catastrophic event that unfolded from the irresponsibility of BP in the Gulf of Mexico upon 20 April, 2010. Known for years under the motto “Best Possible,”BP adapted their tag line “Beyond Petroleum” back in 2000 with their latest name change from BP Amoco to BP plc, they were not to erase the hardest fate that this company was to face, now known as the Deepwater Horizon Oil Spill. An OIL SPILL is always in an ILL SPOIL. The term “Oil Spill” vibrates to the 20’s understanding of ‘The Awakening.’ Surely whenever these spills have unfortunately occurred, a big eye-opener follows. Sadly, these seem short lived as the events of April 20th unfolded. 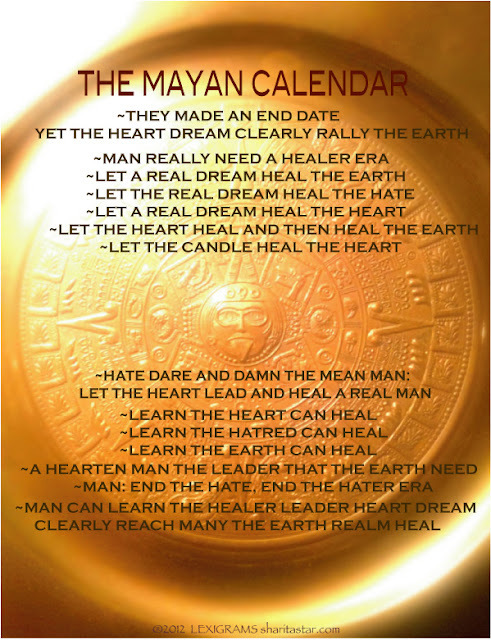 It is of interest to note, upon the 20th day of April, 2010, this 20 energy emerged, and indeed the world has yet again been awoken (more like shaken this time) to a real truth here to resolve. The 20 is guided by the Moon, which urges nurturing and emotions to unfold. While oil spills have been going on since oil has been being captured as a “natural” resource, (BP’s last was in July of 2006 up in Alaska), thus the reaction to typically unfold has been one of a paternal nature to remedy the emergency at hand. Seemingly a much better description of what BP’s OIL LEAK, not SPILL, is presently wrecking havoc on within the waters of the Gulf of Mexico and the domino affect that continues to unfold. Beyond Petroleum indeed. WE ARE AS A WORLD TO PIONEER A NEW HEALER ROLE NOW. 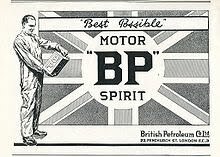 Well even though now their legal title is BP plc, British Petroleum’s poor example of discipline has certainly turned the wheel and resulted in absolute destruction. It is times like these, where it gets painful to know how powerful the art of Lexigramming truly can be. As we keep in mind the karma that BP has reaped for itself, it is certain that greed never blesses anyone with genuine rewards. This is our time in history to look deep, and realize there must be a new way we can move forward to sustain life while regaining true health upon our dear planet earth. TIME IS MITE HUMANS: SO TREAT THE EARTH IN SPIRITUAL RITUALS AS YOUR ANCIENT ANCESTORS TO HEAL IT BEST TO LET NATURE TRIUMPH. In closing, when we look to the Lifepath energy of the date 20 April, 2010, we arrive at the 9, The Finalizer. It is more certain than ever that the oil era is coming to a conclusion and a real completion. Under a 0 degree Taurus Sun representing ultimate transformation, this date equally indicates that an end must come to something dealing with nature that is desperately awaiting a rebirth. It is imperative that we shift, as this better be the last time the 20 has now truly awoken us like never before to the sad truth about the irreversible dangers of oil drilling. Let us all take in the know that when presented with CHALLENGES, we can be sure ALL CHANGES HEAL AS ALL CLEAN. The result of BP’s careless acts opens the door for a massive movement to change. Even though the journey will not be short-lived, we will heal, as will our great Mother Earth. I leave you now with more hearty advise from our Dear Indian Ancestors. Be sure, once you find Part 1, to watch the whole series. We need to implement new habits and adapt to these thoughts, advice, and energy now more than ever before to renew, and ultimately survive. It is time we remember for the sake of our planet earth, as it is for any soul, that it all starts in spirit.